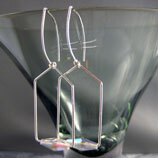 Genuine Bijoux is home to original handcrafted jewelry designs by Janine Horak. In French, 'bijoux' means jewels or treasures. Each Genuine Bijoux original is lovingly created using the finest materials—designer artisan jewelry as a cherished treasure. The collection features an array of handcrafted jewelry meticulously created by Janine for discerning customers who want something more from their accessories, who want beauty, quality, and individuality. 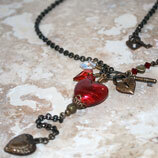 All her pieces vary slightly; like the people they adorn, no two pieces of artisan jewelry are exactly the same. The collection contains both contemporary affordable treasures and precious pieces of wearable art. 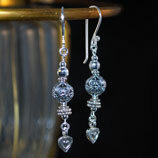 Genuine Bijoux offers options for all styles of handcrafted jewelry – or jewellery, for our British friends. Janine designs beautiful works of art found nowhere else. 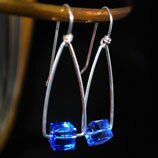 There are alluring artisan jewelry pieces, versatile in their elegance. Then there are fun, funky styles for the times one just wants to be in the spotlight and make a statement. Find numerous styles for all occasions, reflecting the passion for life that inspires their creation. Janine uses the finest materials to handcraft stunning artisan jewelry, original reimaginings of classic bracelets, earrings, pendants, and necklaces. 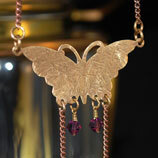 She uses gold, sterling silver, copper, and antiqued brass as the basis for her contemporary creations. These metals highlight the inner fire of Swarovski crystal beads, vibrant Murano glass beads, lustrous pearls, and assorted semiprecious gemstones. Janine is so dedicated to her artistry that she takes the time and care to painstakingly custom produce each work, ensuring that each piece meets her standard of excellence. 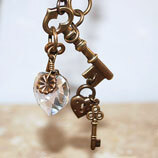 Genuine Bijoux is all about authentic expression of the inner self. The collection showcases fine handcrafted jewelry as unique as the spirit of its future owner. Exquisite designs are statements in and of themselves—from bold to sophisticated to timeless. Custom jewelry can add that little accent needed to complete a look or they can serve as the foundation around which to build the look. Janine's original artisan jewelry creations are multifaceted, allowing people to display different sides of their personalities, but always with artistic flair. Whether buying a gift for those with discriminating taste in handcrafted jewelry or buying a treat for oneself, Genuine Bijoux offers a myriad of handmade jewelry treasures, sure to hold special significance for whoever wears them.